Ecotours: A different way to enjoy the Penedès. 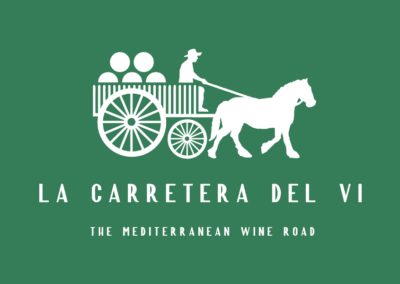 Visit the wineries associated with La Carretera del Vi. You can do it by segway, bicycle, eBike or walking. 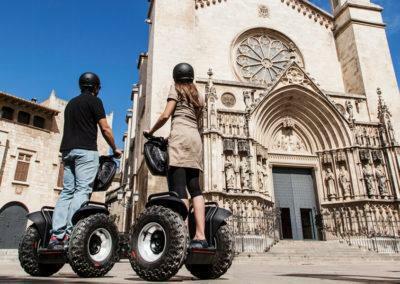 Discover the Penedès by segway, a vehicle that is very technologically advanced, ecological, silent, and electric. It has two wheels, and allows us to tilt in the direction that we want to go. Wine tourism by normal bicycle or E-Bike. It’s a different way of discovering all the special corners of the area on two wheels. E-bikes are light and have an electric engine that supplements the rider’s energy. This is walking with two special poles that make movement pleasant and very efficient, helping to improve the walker’s strength, cardiovascular system, coordination, and mobility. 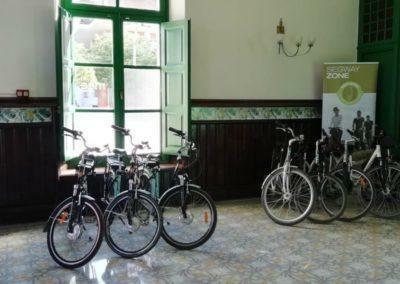 Esportec is permanently present in Vilafranca del Penedès at the Tourist Information and Sustainable Mobility Area in the Vilafranca train station. 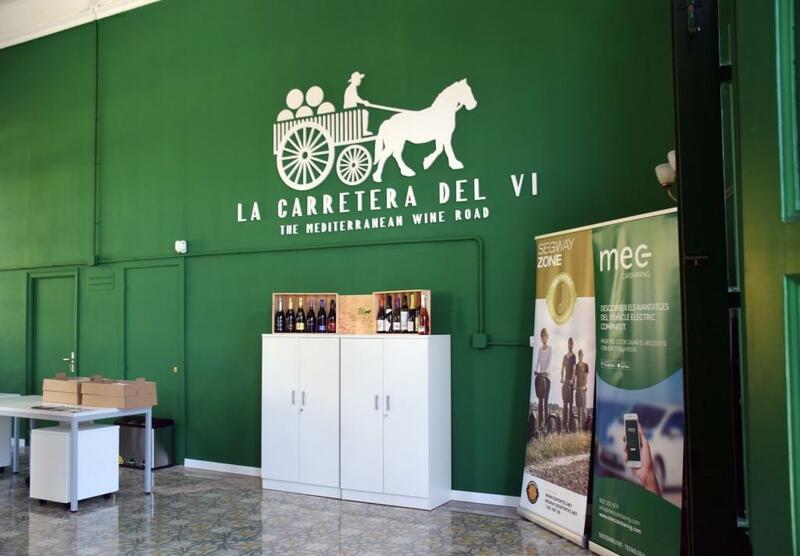 The old bar at the RENFE station in Vilafranca del Penedès, which after a respectful restoration has been returned to its former splendour, now houses the Tourist Information and Sustainable Mobility Area, under the aegis of the La Carretera del Vi, a wine road that joins Sitges to the Penedès.